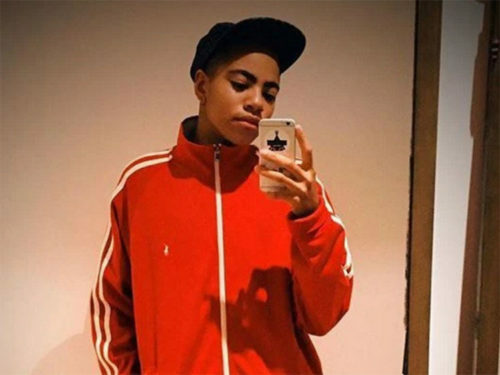 The only child of singer Sade came out on Instagram this week as a transgender man, posting a confident, proud selfie proclaiming his male identity. “Today is the first day of the rest of my life,” reads the caption. He added the hashtags, #shotday #firstshot #finally #ftm #selfmademan #transman #proud and #yaaassss. There has been speculation he was transitioning since the Spring, reports Black Girl Long Hair, which may explain the “04/10/16” caption on his Instagram photo. His account is private. In its report, BGLH showed a pre-transition photograph of the pop star’s son, and published the name he was given at birth. Until it’s clear what name he goes by, LGBTQNation will abide by our policy to not deadname anyone, even in reporting their coming out. It’s not known how he wants to be called, although his Instagram handle, “caracolonbenzos,” may contain a clue; “cara” translates as “face” in Spanish, and colon can be a name, a punctuation mark or part of the intestine. “Benzos” could be a reference to benzodiazepines, which is a class of psychoactive drugs used in the treatment of anxiety, insomnia and other related disorders, but all of this is just speculation. The website reports Sade took a decade-long break from her music career to raise her child with his father, music producer Bob Morgan of Jamaica, now her ex-partner.